Christmas is just around the corner so we take a look at Christmas light switch-ons, markets and events across the East Midlands! As we write this post there are only 41 days, 13 hours, 35 minutes and 01 seconds until Christmas (not that we are counting…). With presents to buy, food to prepare and decorations to hang we thought that you should enjoy the festive period! So we have round up the best Christmas markets and events for you to check out in the East Midlands this winter. Now to get planning which ones to visit! The Old Market Square, Nottingham is transformed into a Victorian Christmas market from the middle of November. With roasted chestnuts, an outdoor bar, rides, stalls and plenty of festive food on offer. The wonderland is in full swing with the addition of an ice bar this year! Why not even go for a skate around the Christmas tree on the open ice rink to really get in the spirit? See Santa, ride the wheel of light and see the Alice in Wonderland themed tableau with a traditional nativity scene. You will even get a chance to meet Santa at New Market Square, a free experience for the family. As well as visiting the winter food & drink fair, musical entertainment, performances, light games. Shops around the city will be open later and a late-night park and ride service will be available throughout December allowing you plenty of time to soak up all the festivities in Leicester. Holidays are coming! Don’t miss your chance to see the iconic Coca-cola truck in Nottingham. The truck stops off at the Nottingham Victoria Park and this is your chance to get a selfie with the truck and enjoy some refreshing Coca-Cola whilst listening to Coca-Cola's unforgettable jingle. Dreaming of a white Christmas? Well, your dreams can come true! Thanks to the Winter Wonderland at the Snowdome, Tamworth. Santa will be arriving in his wonderland full of real snow and even reindeer! As well as an all-new Winter Wonderland Show! You will have bundles of fun in the snow! Prices vary. Take a look at all the fun you can expect to have! Matlock’s Victorian market is one of the East Midland’s largest free outdoor Christmas events. The markets will see over 170 stalls, a fantastic funfair, Santa’s Grotto, a Christmas parade and celebrity Light Switch on. Santa's Parade is happening on the Saturday at 4:15 pm and Santa's grotto will be in the park on the Saturday and Sunday, between 10:00 am and 4:00 pm. Concluding with a spectacular firework display on the Sunday, at 5:15 pm. It’s that time of the year. Oh no, it isn’t! 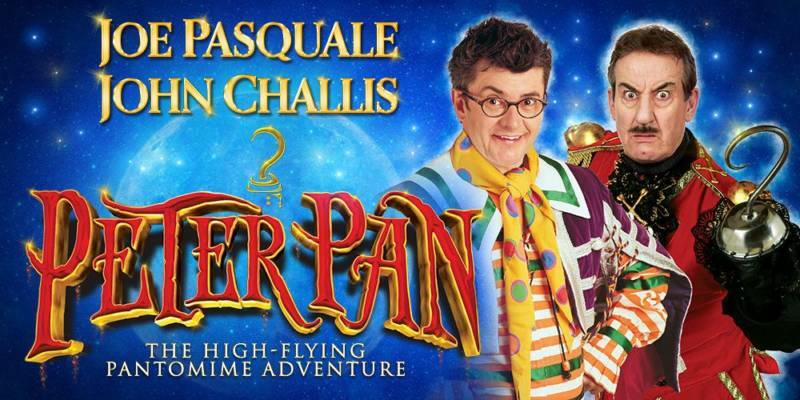 Okay we won’t start but it is panto season and this year, the Theatre Royal sees Joe Pasquale, John Challis and many more in a performance of Peter Pan! For a fun-filled evening full of laughter and songs, book tickets to the best pantomime this season! The Great Christmas Show at the picturesque Wollaton Park will play host to stalls selling many festive treats; fudge, chocolate, crepes, hog roast and much more. As well as workshops and demos and a chance to meet Santa and his reindeer at Wollaton Hall. For those daring enough you can take a tour in the creepy caves and tunnels under Wollaton hall and meet the ghosts in the haunted cellar. In the evening prepare to be spooked when listening to spine-tingling ghost stories.